Story and Photos by James Flavin, O.M.I. Chandler Street in front of the Oblate Residence. The granite marker designating this as an historic road can be seen on the right. Chandler Street, an historic road, runs through the center of the Oblate Residence property in Tewksbury, Massachusetts. In the morning darkness of April 19, 1775, ninety-seven Tewksbury townsmen, carrying flintlocks, powder horns and canteens, hurried west along Chandler street through the darkness, to Concord, Massachusetts. There they joined hundreds of other determined men to confront British troops who had marched from Boston to Concord, to search the town for hidden supplies of gun powder and cannons. 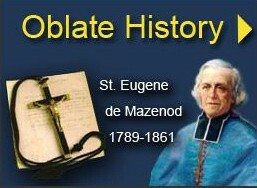 In 1883, the new American Oblate Province was searching for a novitiate. With financial help from Oblate communities in Texas, Buffalo, NY, Plattsburgh, N.Y. and Lowell, Mass., they bought, from the Kittridge family, several acres of land in Tewksbury, Massachusetts. The twenty-two acres, with its barns, orchards and fields had belonged to the Kittridge family for generations. They were one of the original founding Tewksbury families. In the wooded area, behind the Oblate cemetery, remnants of eighteenth century stone walls still trace straight lines through the trees and brush. The night of April 19, 1775, eight Kittridge men, brothers, cousins and uncles, joined eighty-nine other Tewksbury men to travel the fifteen miles to join other militias from other towns also hurrying to Concord. Massachusetts incorporated the town of Tewksbury on December 23, 1734. Forty years later, as tensions increased between the American colonies and the British Parliament, Tewksbury, and many other communities, were encouraged to organize and support a militia of “Minute-men,” a rapid response group designed to resist British troops who were enforcing the laws of King George III. In Boston, leaders opposing British rule had organized a “Committee for Safety,” which in turn organized a cadre of volunteer horsemen, among whom was Paul Revere, whose task was to fan out to surrounding towns with news of British troop movements. 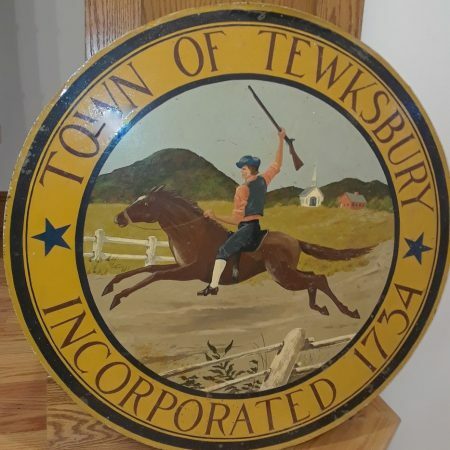 The seal of the Town of Tewksbury pictures a horseman riding into the town square calling to people the news that seven hundred red coats were on the way to Concord. 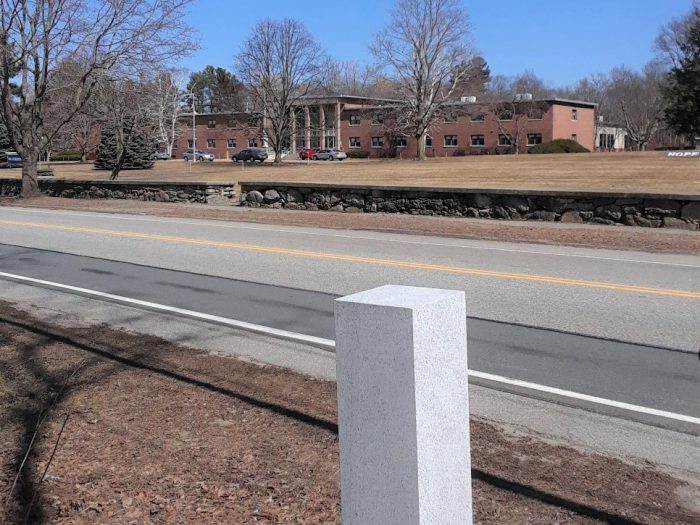 In Eastern Massachusetts, there are many roads, buildings and locations where events took place that date back to the crucial revolutionary colonial times. Not every location is of equal historical importance. 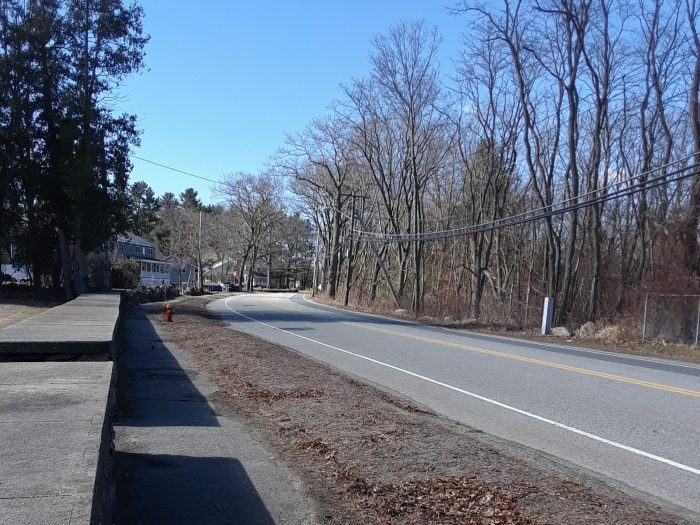 Chandler Street, the road through the Oblate Tewksbury property, is a minor stage on which played out, for a few hours, a piece of the much larger drama of the struggle for the United States independence. But Chandler Street is important to Tewksbury’s inhabitants. 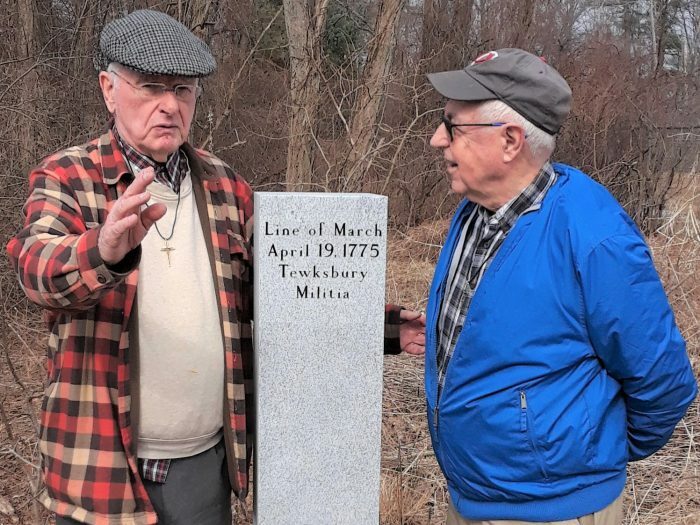 In recent years, the town’s historical society, town officials and interested residents, including the Oblate Fathers and Brothers, have taken greater interest in the town’s connection to, and participation in, the beginning of the American Revolution. 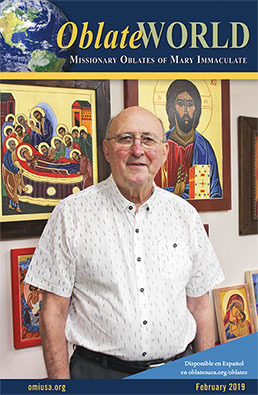 It is quite by accident the Oblate Fathers and Brothers now find, in recent years, that they have a certain custody over the special, public road running through their property. When the Oblates bought the Kittridge property in 1883, people, including the Oblates, attached little significance to Chandler Street and its connection to the events of April 19, 1775. 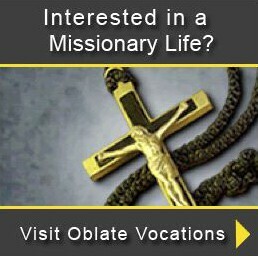 The National Park Service offers suggestions to land owners, like the Oblate Fathers and Brothers, whose properties abut places of historic interest. They suggest fostering a more conscious awareness of the place’s significance, encourage care and maintenance of the roadside and avoid building unattractive signs and structures. Each spring, around the April 19th anniversary, the town organizes a ceremonial reenactment of the march to Concord, men dressed in authentic colonial dress, with flintlock arms, assemble at the town square and walk part of Chandler Street to the town library lawn where town officials make brief speeches, flintlocks fire a commemorative salute and a band plays music. Recognition of the road’s and the town’s historic pedigree makes Tewksbury, in recent years, a more attractive place to live and more attractive to business. Land developers regularly ask if the Oblate Chandler Street property is for sale.